Industrial ozone generator production is normally measured in g/hr or lb/day for these ozone generators. For more information on units of measure click here. 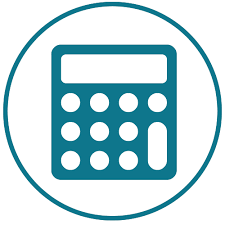 This article will use g/hr for all calculations. To determine the g/hr of ozone from an ozone generator we must determine the grams of ozone that are produced in a given hour period of time. 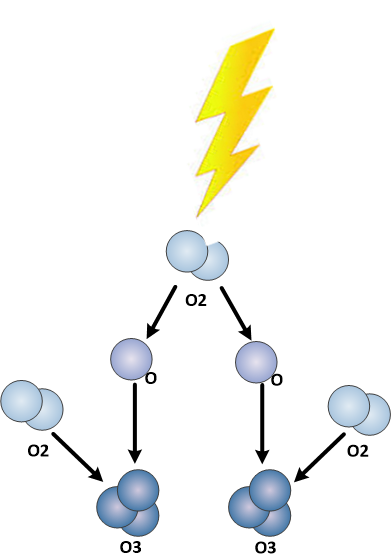 This is done by determining the gas flow-rate through the ozone generator and the concentration of ozone in that gas. 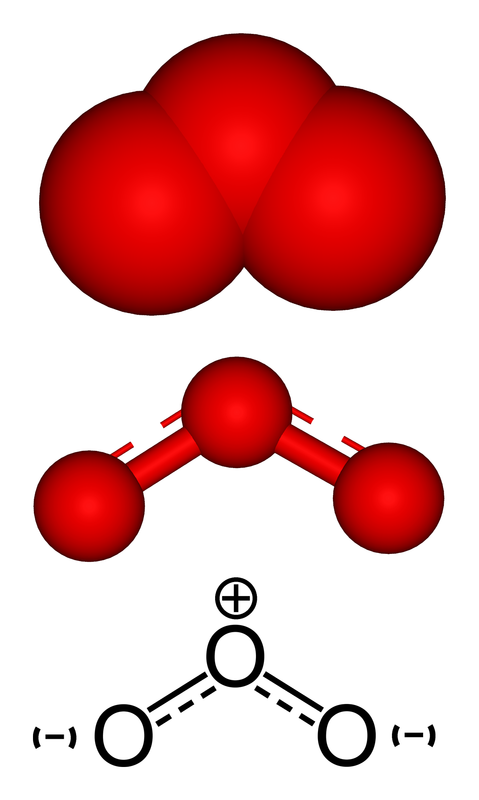 Concentration of ozone is normally measured in g/m3 or % by weight. A UV Ozone Analyzer is required to measure high concentrations of ozone accurately. The high concentrations of ozone produced by an industrial ozone generator can be measured accurately and reliably using a UV based ozone analyzer. The UV Ozone analyzer will measure ozone in either g/m3 or % by weight. This will provide the concentration of ozone gas produced by the ozone generator. We recommend the M454 Ozone Analyzer for ozone generator performance testing. This is compact and easy to use device that we offer for sale, or for rent for shorter term needs. A Supply-gas flow-meter is any flow measurement device that is measuring the total oxygen or dry air supply-gas flowing through the ozone generator. This will measure the volume of gas and provide the total mass of gas to determine total ozone production. The Ozone Gas flow-meter will regulate the amount of ozone gas flowing through the ozone analyzer. Most UV based ozone analyzer are rated for a gas flow rate of 1-2 LPM. Therefore when dealing with total gas flows greater than 2 LPM ozone gas flow must be diverted around the ozone analyzer and continue to the point of use. This ozone gas flow-meter will be used to control and regulate the ozone gas flow through the ozone analyzer. The Ozone Destruct Device will be used to safely catalyze all ozone back to oxygen after the UV ozone analyzer. This will allow ozone to be measured in a safe environment. The illustration below provides an example of how this equipment can be configured. This may be a temporary set-up to test an ozone generator, or be a permanent part of a large ozone system where confirming ozone production is imperative. For more information on common ozone related units of measure click HERE. G/hr = grams per hour – this is the most common measurement of ozone production. Your ozone analyzer may provide ozone concentrations in % or g/m3. Calculations for either are shown below. Only LPM is used to measure flow for convenience. When wt% is used to measure ozone concentrations, the calculation to determine ozone output is different between air and oxygen gas due the fact that density of the gas is different. 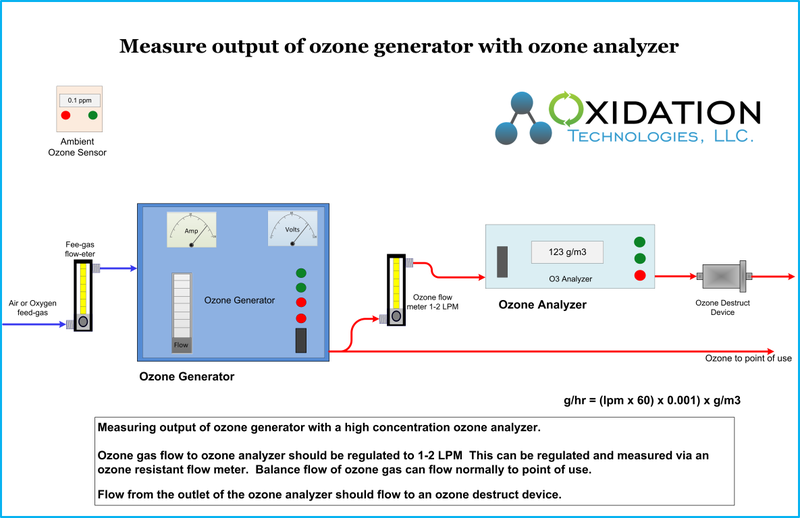 This requires separate conversion calculations used to determine the output of an Ozone Generator (as shown above). Due to this reason we prefer to always use g/m3 when measuring ozone concentrations and ozone production.